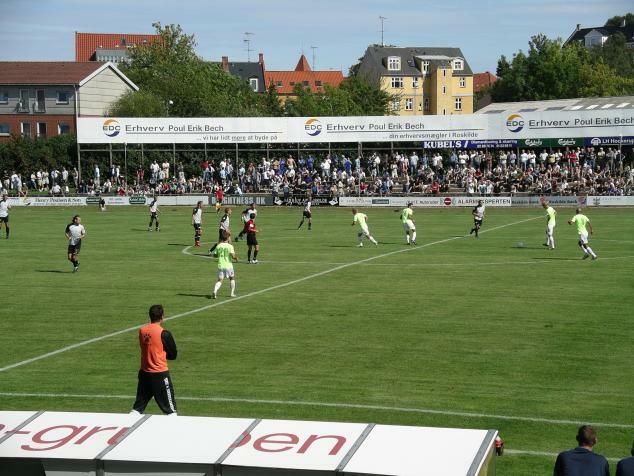 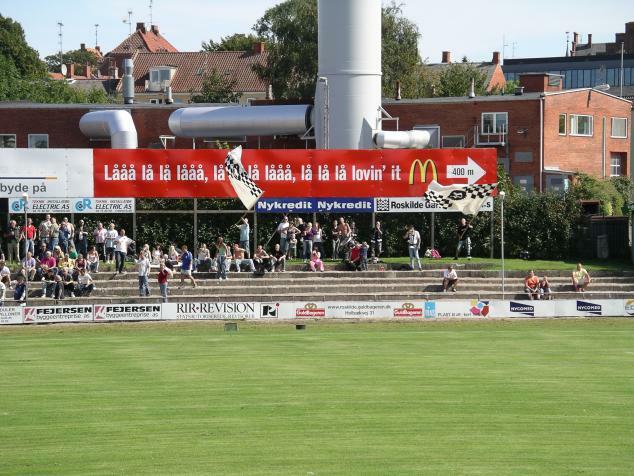 FC Roskilde was founded in July 2004 as a merger of Roskilde Boldklub af 1906, Himmelev-Veddelev Boldklub and Svogerslev Boldklub. 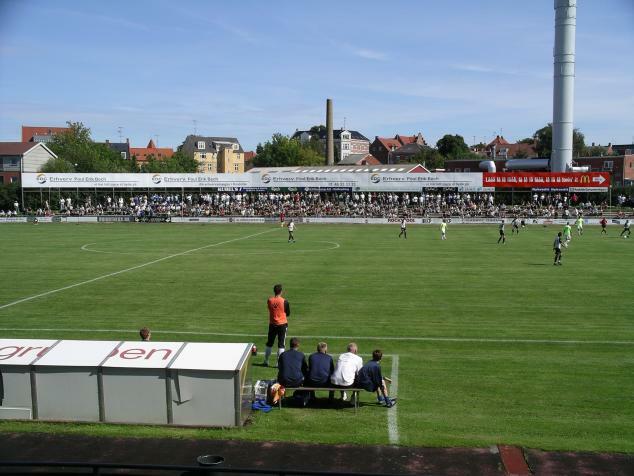 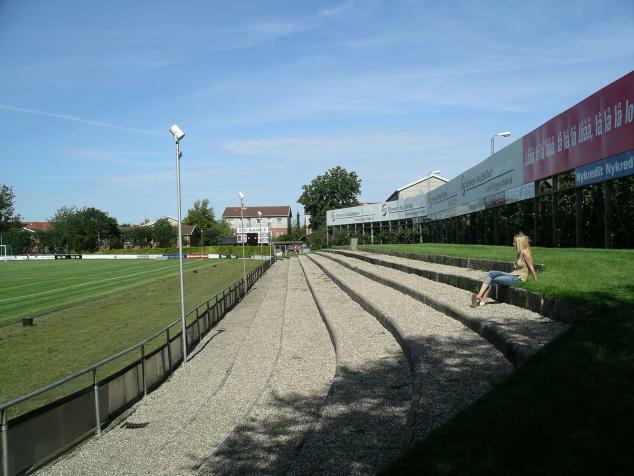 Today´s opponents FC Amager is also a merger of several clubs from the island of Amager, just east of Copenhagen. 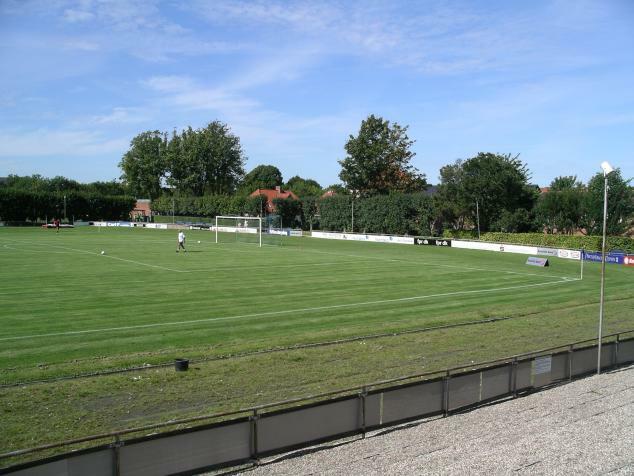 The main reason for going to Denmark this Sunday was to go to the biggest game in Danish football, the derby between Brøndby and FC København, but with a late kick-off for that one there were plenty of other matches with earlier kick-off times to choose from. 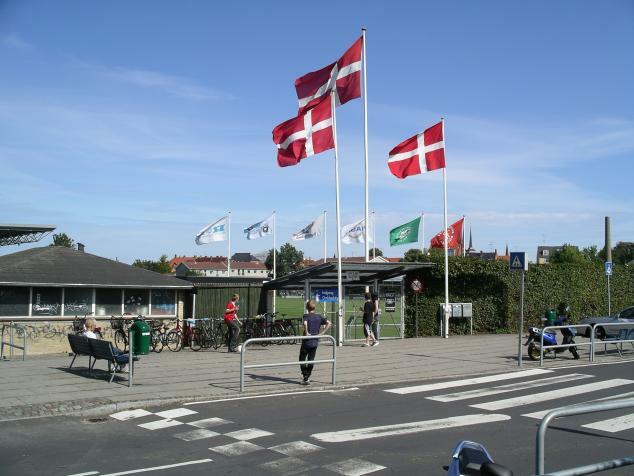 Roskilde, being only about 25 minutes from Brøndby Stadion, was to be my choice and as I for the for first time crossed the Öresund by car (16 km bridge/tunnel) there was more than football to look forward to this Sunday! 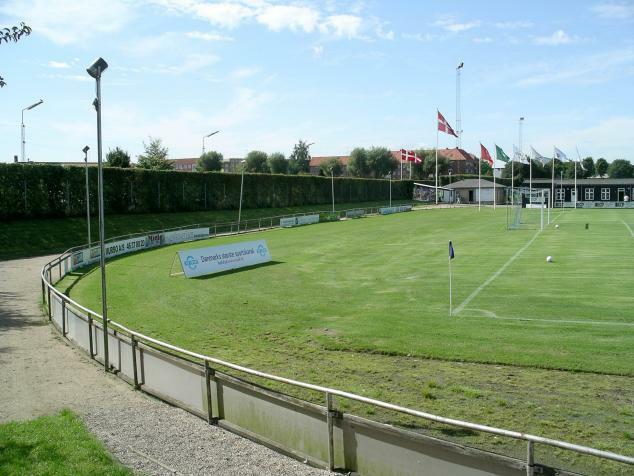 The trip took me 2 h and I actually arrived at Roskilde Idrætspark at the same time as the coach with the away team. 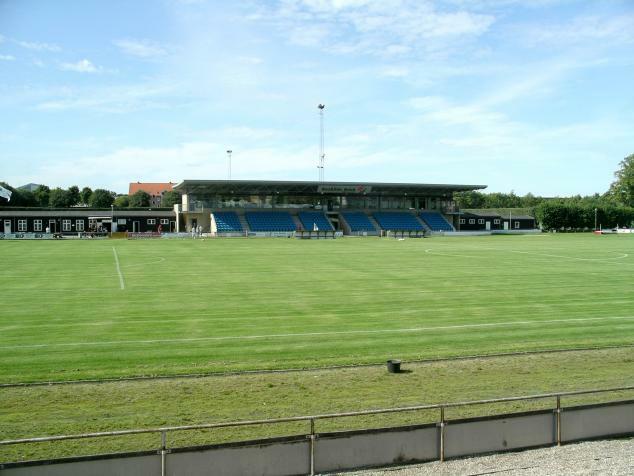 FC Amager played quite well and after scoring in the 1st minute they were in total control of the match which ended 4-0 to the visitors, which of course delighted the 200-250 away supporters.